Adoption Services - Child & Parent Services Inc. Adoption can be one of the most positive and life changing events. When you are considering adopting and becoming an adoptive parent, you are contemplating a very special event. Whether adopting domestically, internationally or participating in an interstate placement, your life is about to change. 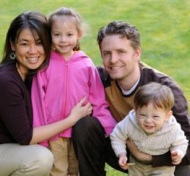 As an adoption agency located in Michigan and licensed since 1987, we are ready to assist you in any way we can. Over our many years of handling International and Domestic adoptions, we have gained accredited Professional Affiliations from The American Adoption Congress ,The National Committee for Adoption, and The Michigan Adoption Resource, also known as the Mare Exchange.